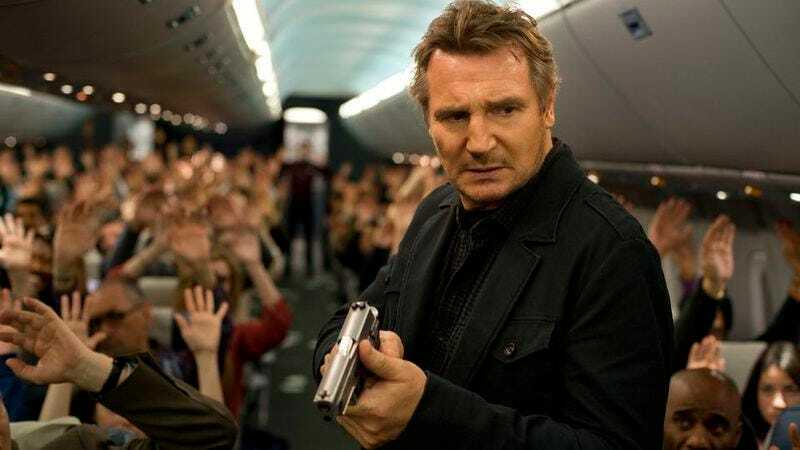 Though the movie probably isn’t going to be a goofy comedy, Liam Neeson is “in talks” to join Steve McQueen’s Widows in a role that sounds exactly like the ones played by Samuel L. Jackson and Dwayne Johnson in Adam McKay’s The Other Guys—in other words, he’s going to be playing off of the typical action guy roles he usually gets only to be killed off so a different character can take his place. That may seem like a spoiler, but the whole premise of Widows is that a thrilling heist goes wrong and the would-be thieves get killed, leaving their Widows to pull off the job without them. According to Variety, Neeson will play the husband of Viola Davis’ character (meaning he’ll get killed), and he’ll be joining other stars Elizabeth Debicki, Cynthia Erivo, Michelle Rodriguez, Daniel Kaluuya, and Andre Holland. Widows will be McQueen’s first movie since 12 Years A Slave, and the script comes from Gone Girl writer Gillian Flynn.